At first, putting Sibelius and Shostakovich on the same orchestral program sounds like a dark and weighty proposition. In reality, when the Rochester Philharmonic Orchestra and Music Director Ward Stare presented the two modern classical masters side by side on Thursday, the sound was much more nuanced. 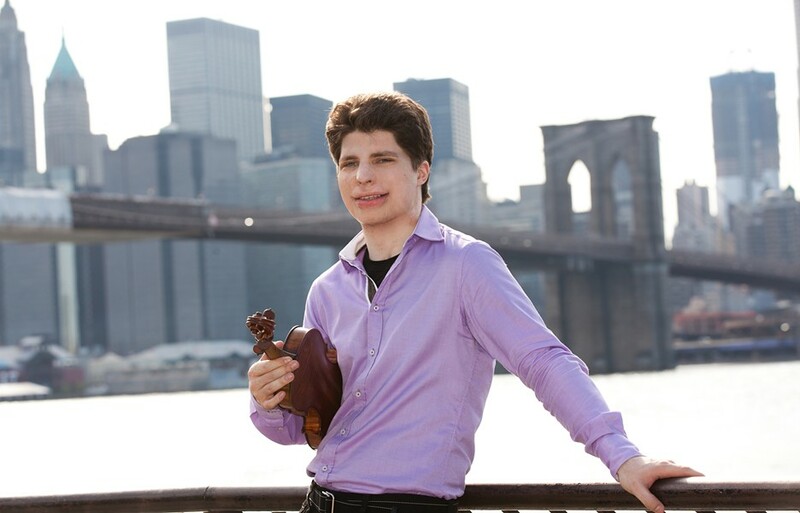 The program, which will be repeated on Saturday night, begins with Jean Sibelius’s Violin Concerto, played by soloist Augustin Hadelich in a return visit to the RPO. On Thursday night, Hadelich’s tone on the violin was delicate and self-assured. For all the beauty in Sibelius’s melody, there was something dangerous and forbidden in the sound, which lent a sense unpredictability to the performance. Stare and the orchestra provided subdued support, with a firm control of dynamics that paired well with Hadelich’s light touch. But there were electrifying moments, too. There’s a savagery to Sibelius’s orchestration. The dense, rumbling strings in the expansive first movement of the concerto rivals the dramatic energy of anything Wagner ever wrote. The heft Sibelius has given to the orchestra is a brilliant counterweight to Hadelich’s thin, penetrating timbres. As a soloist, Hadelich has uncanny facility with his left hand, resulting in quick, smooth phrases that seem to spill out effortlessly. During the third movement, his double stops – which enabled him to play both the melody and harmony simultaneously – were remarkably fluid. But the full impact of this freeing sound was limited by his stiff posture. Hadelich held his torso high and tight. This grandiose body language translated into a strict, by-the-book interpretation of the concerto, with little room left for sweeping expression or uninhibited energy. Any unintended stodginess was completely abandoned, however, during Hadelich’s encore, in which he played Paganini’s Caprice No. 24. Hadelich’s playing was especially commanding and charismatic, and his obvious comfort with the piece gave the music even greater charm. Despite his stature as a towering figure in 20th-century classical music, Shostakovich is not represented in orchestral programs as often as he should be. Ward Stare seems to share this opinion; the music director’s focus on Shostakovich will continue in the 2019-20 season with Symphony No. 11 and Piano Concerto No. 1. Shostakovich’s Tenth Symphony – from 1953, written in the wake of Joseph Stalin’s death – has both somber and hopeful moments, but the music is ultimately cryptic and ambiguous. It’s as if Shostakovich was faced with creeping uncertainty about what to do with his newfound creative freedom. The symphony’s net effects are more subtle than in much of the composer’s bold and brooding music. There’s a pervasive sense of loneliness that makes the Tenth Symphony especially poignant. At times, Stare’s conducting was deliberate, even appropriately plodding. He took his time, accentuating Shostakovich’s lyricism as much as his explosiveness. And though the music was often bold and imposing, Stare and the RPO were emphatic without running out of gas. The overall impact of the symphony was somewhat underwhelming, but that’s more attributable to the nature of the composition itself than the RPO’s interpretation. Shostakovich’s Tenth is simply one of those pieces that isn’t easily deciphered on the first listen. This concert was reviewed on Thursday, March 7. The RPO and Augustin Hadelich will perform the program again on Saturday, March 9, 8 p.m. at Eastman Theatre's Kodak Hall, 26 Gibbs Street. $24-$106. 454-2100. rpo.org; augustinhadelich,com.